Facsimile® is a special plastic compound kit which is used for duplicating surface flats, roughness and for dimensional transfer of inaccessible locations. Many other applications are listed below. When casting in a “CONFINED” area, it is better to cast 1 /2 of the internal shape. Facsimile® will not affect the surface of ferrous or non-ferrous materials to which it is applied. Remember—when casting without releasing agent, an ACETONE soak removes Facsimile®. COMPRESSION TEST…Maximum load 6,800 lbs. Compression strength 9,650 PSI. MECHANICAL PROPERTIES…Ultimate tensile 3,415 PSI. WATER ABSORPTION…(24 hours at 73 o ) 0.31% by weight. The kit contains all material and instructions. The Facsimile® can be diluted from a putty consistency to a watery to best suit your job needs. If larger quantities of Facsimile® are desired they can be ordered in 3 lb. and 25lb. kits at proportionately lower prices per pound. 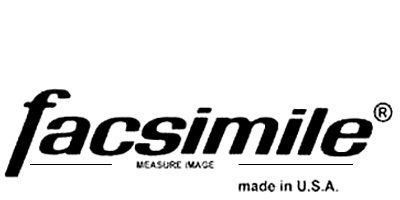 Facsimile® is Made in U.S.A.